Can an Afghan be a Hindu or even a Sikh? History says yes. Islam entered Afghanistan in the 7th century. The Hindu Shahi rulers of kabulistan were replaced only by the end of the 10th century by the Ghaznavides, who maintained Hindu forces. For three-quarters of the 13th century, The pagan Mongol ruled the region. Timur the lame fought with the jats in Central Asia in the 14th century. Babur, who captured Kabul in 1504, refers to Kabul as hindustan’s own market. Further, Guru Nanak visit in the early 16th century laid the foundation of Sikhism in Afghanistan. Several documents record the native Hindus and Sikhs in the Afghan society and their thriving trade. But today, almost 99 percent of Afghan Hindus and Sikhs have left the country. The khurasan of yore accommodated Hindus and Sikhs as its own, yet today’s Afghanistan refuses to see them as natives. Will history claim justice for the original ‘lalas’? Afghan Hindus and Sikhs narrates the history of their rich contribution and turbulent journey in the last millennium. Click here to read the thesis by Chitra Venkatesh Akkoor who completed this work in 2011 as part of her PhD degree in University of Iowa. Chitra made multiple trips to Germany and spent significant amount of time with Afghan Hindus in Hamburg, Frankfurt and Cologne to complete this work. Afghan Hindus in Ealing will be holding their annual Diwali Fete this weekend, celebrating the sixth anniversary of the charity. The event will be held on November 8 at the Asamai Community Centre, Johnson street, Southall. This is an annual event that the Asamai youth committee holds for its members with more than 300 people expected to attend. Proud member, Komal Supra said: “Afghan Hindus migrated to England about 15-20 years ago. Hindus in Afghanistan have always been the minority group and remain in a minority in England too. However we are a very hard-working, determined and obedient minority group within the UK. 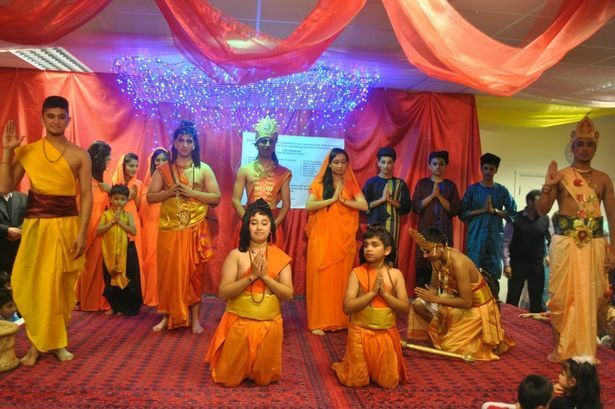 Every single Afghan Hindu family is registered with the Asamai cultural trust that runs the Asamai community centre. “Many youths, adults and older generations are involved with the trust and regularly attend all the events and help out with day to day activities. None of these members get paid for their help. The trust also holds free Hindi classes every Sunday for the members. The teachers are also volunteers. Asamai Cultural Trust is a registered charity formed and run by Hindus from Afghanistan who live in the UK. The Trust was formed in 2008 to give help and support to all Hindus from Afghanistan adjusting to their new lives in Britain.